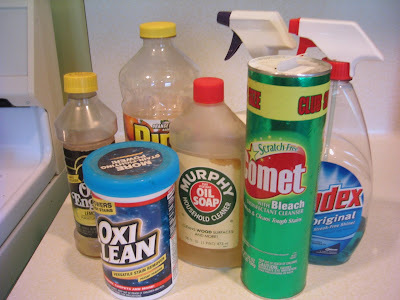 This is a photo of most of the household cleaning products we actually use. Not too green, I know. I've tried using "green" cleaning products like an all-purpose cleanser called "Simple Green" and almost coughed my lungs out. Seriously, it seemed more toxic than any of this. But this stuff has got to go. I now know that it's a better idea to use simple, natural products like baking soda, vinegar, and water. Give up the chemicals altogether. And it's time. Because it's the beginning of the month, and I don't have too many challenges left. I'm ready to tackle this one. Back in April, I wrote this post about how even though I'd joined The Compact and pledged to Buy Nothing New this year, I didn't feel like some of my daily habits were very green at all. I vowed to go beyond recycling and using cloth bags at the grocery store, and start living a more green lifestyle. And the best way for me to succeed at a goal is to 1) focus on it, and 2) do it in small incremental steps. That's how I came up with my baby steps challenge idea. Each month I would tackle a habit I wanted to incorporate into my lifestyle. So far, I've taken steps to get rid of junk mail and catalogs, started air-drying the laundry, and set up a composting bin. 3) I'll ask my readers for tips! I can't imagine cleaning without Clorox or Windex. And I can't imagine doing laundry without Oxi Clean. Any suggestions would be greatly appreciated. Oh, and I don't see any way around purchasing a few empty spray bottles for some kind of vinegar/water solution and something else for floors. I suppose I can use jars or plastic yogurt containers for some concoctions. Do you already use natural cleansers or do you swear by the toxic stuff we've been using up until now? I would love to hear your tips, ideas, and advice. Please weigh in with your expertise in the Comments section. And let me know if you want to join me in the challenge. I'm a fan of the Seventh Generation products. I've tried baking powder and vinegar and I just don't feel it gets the job done as well. I use seventh generation prodcuts for laundry detergent, dish soap, window cleaner, toilet cleaner and all purpose cleaner. The best way to clean windows and mirrors is with old newspaper. Take a few sheets and fold them into a pad, dip it into a bucket of water to wet it and use like a cloth on the window. Keep changing the newspaper pads as they get dirty and you'll have very clean, smear-free windows. I use Dr. Bronner's Sal Suds for just about everything around the house. It's a big bottle of pine-scented (but non-toxic) soapy stuff that can be diluted with water to clean most surfaces. I use it undiluted in the bathroom - toilet, shower, sink, floor - and diluted in a spray bottle with water for wiping down the kitchen counters and sink. I swear it'll clean anything, without too much effort. Best of all, I've had one big bottle for almost 2 years now, and it's still about half full! About the only things I don't clean with Sal Suds are the mirrors. I use white vinegar on those. I use old rags or cut-up t-shirts to dry surfaces when I'm done. It cleans glass (no streaks! ), enamel, stainless steel, chrome, plastic and pretty much every other surface. I haven't made the leap to natural cleaners yet, but it is on to do list. As for new spray bottles... you already have two-- your 409 bottle and your Windex bottle. Once they are empty just refill with your new "green" cleaners. Stop by my blog. 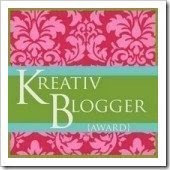 I have a bloggy award for you to grab! I really enjoy this blog (it is not a blanket endorsement). I use vinegar and baking soda for everything. I cannot stand the smell of harsh chemical cleaners. I use white vinegar and baking soda for nearly everything... and ecover for everything else. For counters, a mix of vinegar and water is fine. For sinks, toilets, etc, I just toss in 1 cup of baking soda, followed by some vinegar. It bubbles up like hydrogen peroxide does on a cut. Then I run some water to polish off. If I want to clean a drain, I use boiling water. I also use this to clean the stove top and burner bowls. Mirrors and glass--just vinegar, water, and a drop of dish soap. For clothing stains, explore online. I use ecover for that too, though. I've been using recipes from "clean House, Clean Planet" by Karen Logan for a quite few years now and I absolutely love them! Here's my favorite all-purpose cleaner (it replaces 409): Mix 2 Tbsp vinegar with 1 Tsp borax in a 16 oz spray bottle. Fill the rest of the bottle with very hot water and shake until the borax is dissolved. Add 1/4 cup Dr. Bronner's and 10-15 drops of your favorite essential oil. Shake it up a bit then spray and wipe. It's my all-time favorite. That book has a ton of good recipes. I'm not sure if it's still in print but you're welcome to copy recipes from mine! What can I use in place of bleach to get stains out of white sinks? And is there anything besides bleach that will kill mildew? I would love to use something else. I'm with Krista. Seventh Generation products work well and they always have coupons available on their website and sometimes directly on their products (like on the laundry detergent I purchased yesterday). You've already been told most you need to know. Vinegar is the bomb for cleaning, everything. It is a natural disinfectant, but smells horrible. I keep two jars filled with orange rinds and lemon rinds (NO flash at all!!) and fill them up with vinegar so that it smells a bit better for the cleaning. Baking soda and hydrogen peroxide will do your "bleaching" for you in the laundry room. That's pretty much what all those oxi cleaners are! You tube has many video's too. Just look up home made cleaners. THANK YOU THANK YOU - Brilliant, awesome readers for sharing your knowledge. I do think I'm ready to go with the advice here- I'll come back later today with some specific questions for a few of you. Again, thank you all so much. I'm actually excited to get started. Krista -Don't worry- I won't toss the old stuff, it will either be used up by my husband in the garage and basement or given away on Freecycle. 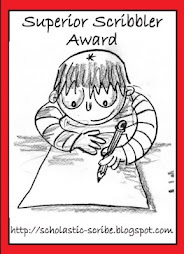 Michele- Thanks so much for the award! I have so many posts planned ahead, I'll try to do it on the weekend... Thanks again- I'm so glad you found my blog. Thanks to everyone for all the info. and suggestions. It looks like I have most of what I need already: vinegar, lemon, borax, baking soda, and hydrogen peroxide, and will buy a couple of things: Dr. Bronner's and Sun and Earth. And maybe I'll give one of the Seventh Generation products a try. Sorry to sound promotional (I don't work for the company in any capacity at all!!) but I'm really into ACT Natural cloths from Sweden. (http://www.actnatural.net/) They are used in Swedish hospitals, use nothing except water and have been clinically proven to disinfect as well as bleach. I use microfiber cloths and a microfiber mop for most of my cleaning. The cloths come in different weaves for different uses. I don't have to use a cleaner with the mop -- though I do have to wash it afterwards to get rid of the dirt it picks up (either by hand in the sink or in a wash load)! I think you can still use your OxiClean: "Sodium percarbonate is excellent for cleaning and removing organic stains such as coffee, tea, wine, fruit juices, foods, sauces, grass and blood from fabrics and common surfaces made out of porcelain, ceramics, wood and many more. As a cleaning product, OxiClean® is favorable because it's environmentally safe, biodegradable, and leaves no harmful bi-products"
However, your Borax or washing soda (another great household cleaner) could do the trick and keep one less box around. Can't convince DH to try it however as he's a huge OC fan, too. "Clean House, Clean Planet" is really an amazing book, full of fantastic recipes. Get it from the library! Hi - I'm new to your blog, but I thought I'd add my 2cents to your question. Another lifetime ago (museum life, that is) I knew someone who restored antique furniture. She always said that using anything like pledge or old english polish actually dries out the furniture, making it look dull, forcing you to keep repeating the process. She said the best thing to do is use furniture wax (available at hardware stores), about 4 times per year, maybe more if the furniture is in the sun. Otherwise, just pick up dust with a static cloth. And actually, this goes for wood floors too (only wax once per year though, or everyone will fall down). The wax comes in a tin about the size of a coffee mug and will last you forever, since you only need a small amount. I'd like to do this also but it's darn hard to tell what recipes actually work. The internet is the Net of Lies, and even books (which go through a more rigorous process) are contradictory. That said, every single source I consulted say Murphy's Oil Soap is a good and environmentally unoffensive product. And second the motion about EndDust et al. Better to put up with a little dust, or the effort of waxing, than ruin your furniture. I've *never* seen a green alternative to HE laundry detergent for a front-loader. If you find one, let us know. William B- I'm SO happy to know I can keep my Murphy's Oil Soap. I use it so seldom (a few times a year) that I can keep a container for several years. It's the Windex and the 409 I really have to replace, oh, and the Clorox. As far as the HE detergent, I'll let you know because my skin is sensitive and we always have to buy allergy-free so we're actually using regular detergent in a front-loader, just about half the amount. p.s. I've already filled up my first compost bin (!!) and am picking up a new one tomorrow. This time I'm going to cut out the bottom as you recommend and see if it lasts longer. I can't keep adding a new one every month- we don't have the room! And I'm still squeamish about buying and adding my own worms. I'll write a post update after I do it this weekend. Angela, that's awesome about your compost bin! I hope you get lots of great compost. All composed, of course, of trimmings from your CSA delivery and not food that started composting in your fridge. [returning from laundry room] All makes a version of Free & Clear for front-loaders. I have never used bleach in any of my cleaning, only sometimes a dilute solution to sanitize things for certain kinds of food preparation. For toilets and surfaces I just use water, maybe some dish soap, and a sponge or brush. Using Clorox doesn't make sense to me because I don't see the sense in trying to sanitize those surfaces. In any case, washing bacteria away with water and soap obviates the need to kill them, assuming there ever was a need to kill them. After all we're not licking those surfaces, or often even really touching them at all. For tubs I can't give advice, those are hard to clean. You need a pretty strong surfactant or vinegar to cut through the stuff in a tub.